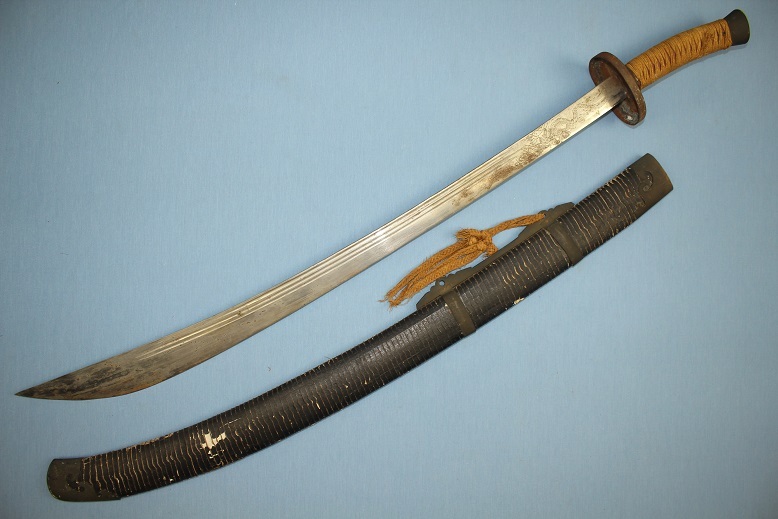 A good and complete late 19th century Ox-tail sabre. 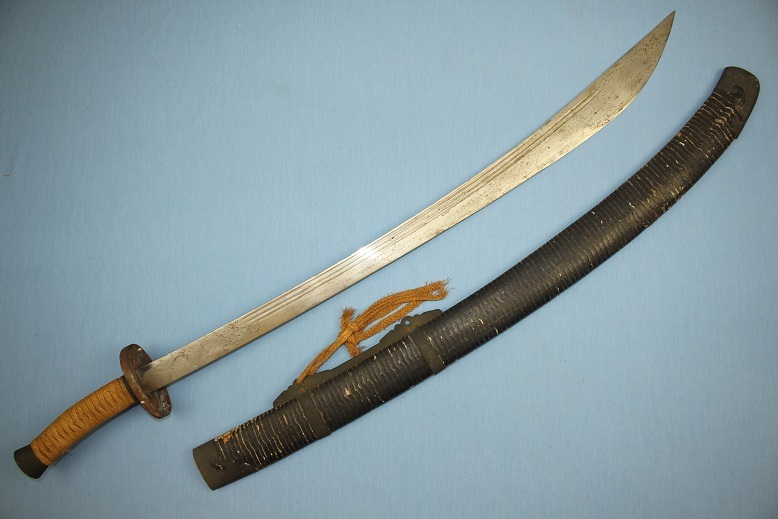 The sword measure 96.5cms long in the scabbard, is 94cms out and has a blade length of 76.5cms. 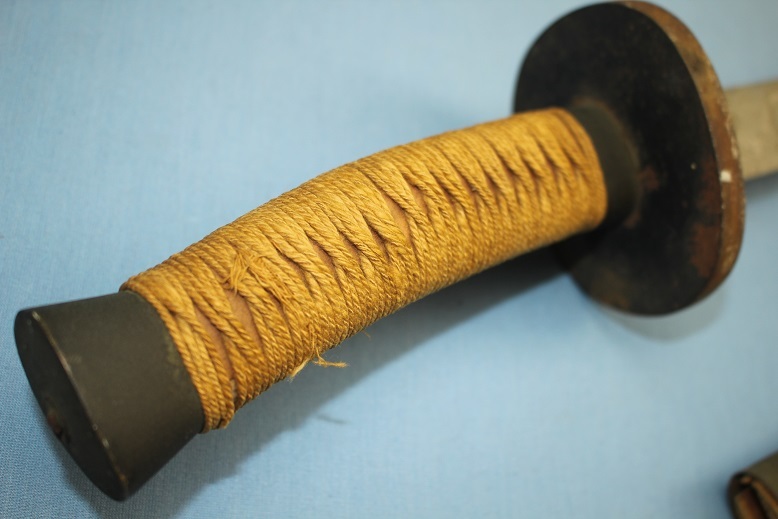 The Hilt is in fine condition. its wrap is complete, firm and tight. Seen beneath the wrapping is classical mulberry paper with Chinese character down one side, likely votive phrases or prayers for success. The wrapping is capped in bronze fittings, with the collar sitting against the a steel cup guard. The blade is in original untouched condition with bright polished surfaces highlighted through a lightly patinated surface. The blade has a strong root, minor flex and good spring. A clear distal taper is seen through to the tip and the cutting edge. The tip is strong and full. 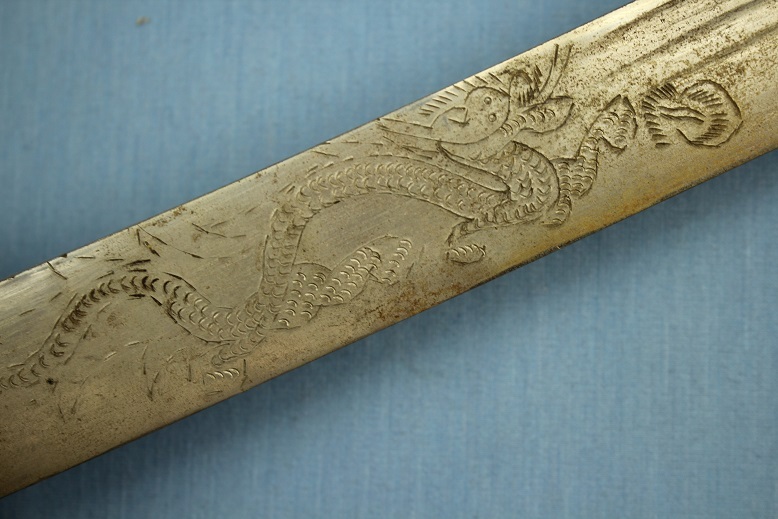 To either face of the blade, at the forte, there are rampant dragons chasing a flaming pearl. Triple fullers extend from this point. 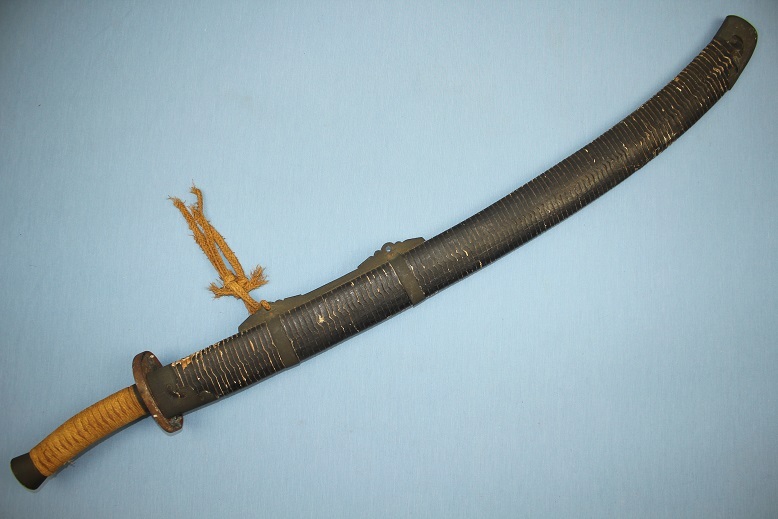 The scabbard is timber core, covered in black lacquer and wire bound. The bronze fittings are heavily patinated. 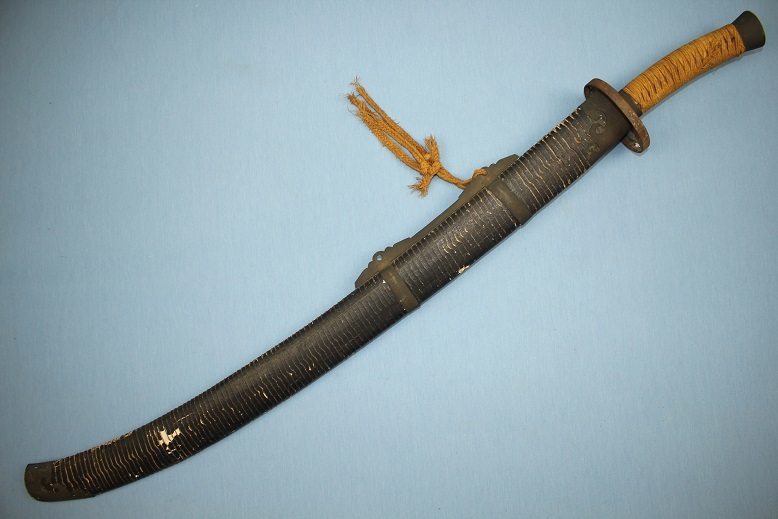 A good tight original sword in original as found condition.